Choose one of the templates below and click to download. Open the Word document and customize with your own personal copy. 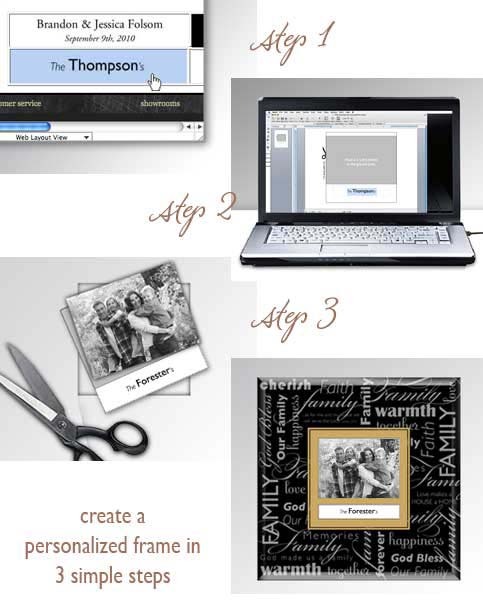 Print, trim, attach photo and insert into frame. Try more than one template and play with different fonts. Your the designer with this elegant glass frame. Check out the Personalizable Designs Availble Now.